I kinda love it when he walks in the door and tells me how good it smells. One of my favourite things to do on my days off is make something tasty for Chris when he comes home for lunch. I kinda love it when he walks in the door and tells me how good it smells. So I guess what I'm saying is you should make this if you're looking to impress your guy/girl. 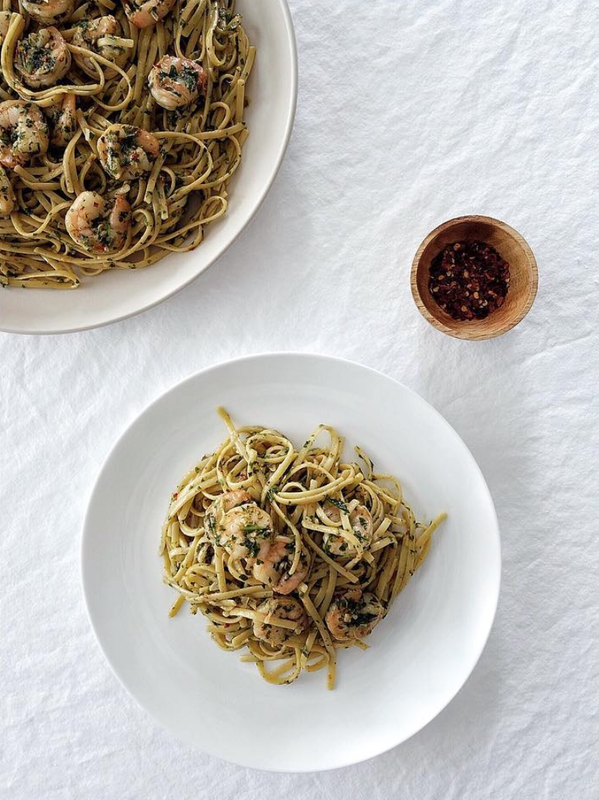 Lotsa olive oil, lotsa garlic, crushed red pepper, white wine, lemon juice, sautéed shrimp, parsley, linguine - so easy, but so freaking good.